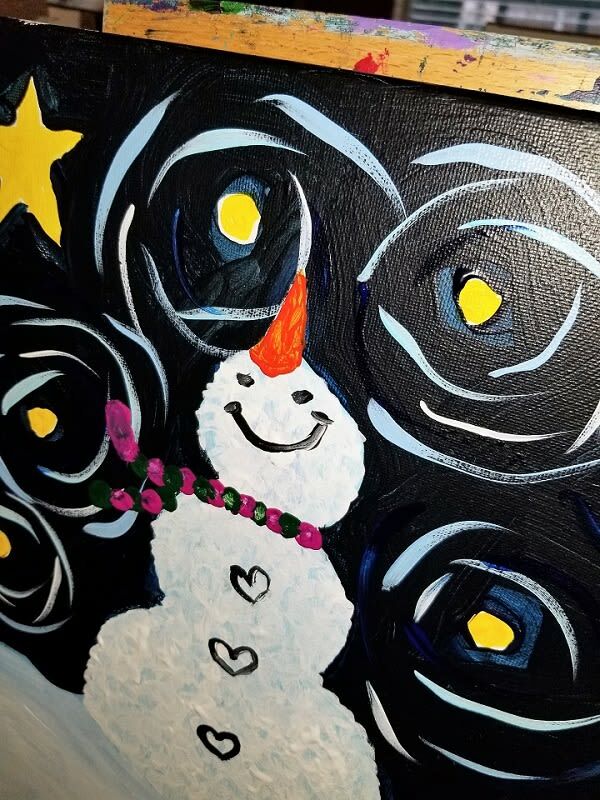 Holiday Sip and Paint Night! 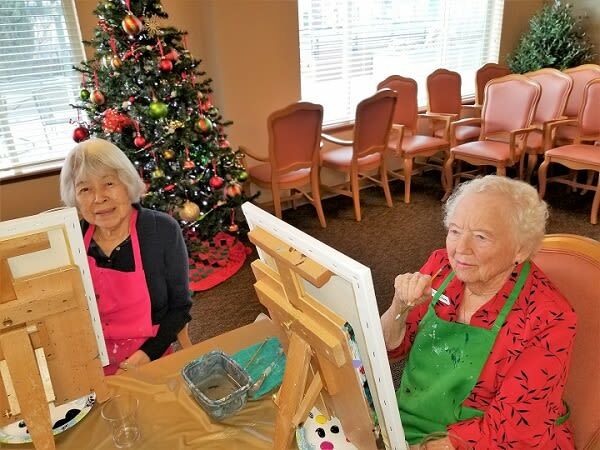 There is an artist inside all of us and Merrill Gardens at Renton Centre recently hosted a holiday themed Sip and Paint event to help residents channel their talents! 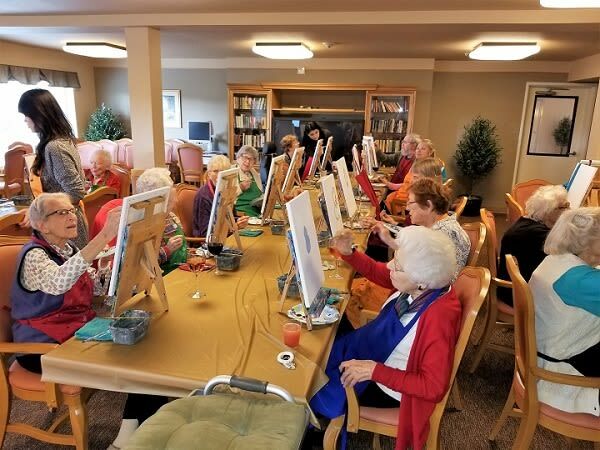 An art instructor from Clayopatra Arts Studio in Maple Valley, WA came to the community and helped residents and friends create a beautiful piece of canvas art. 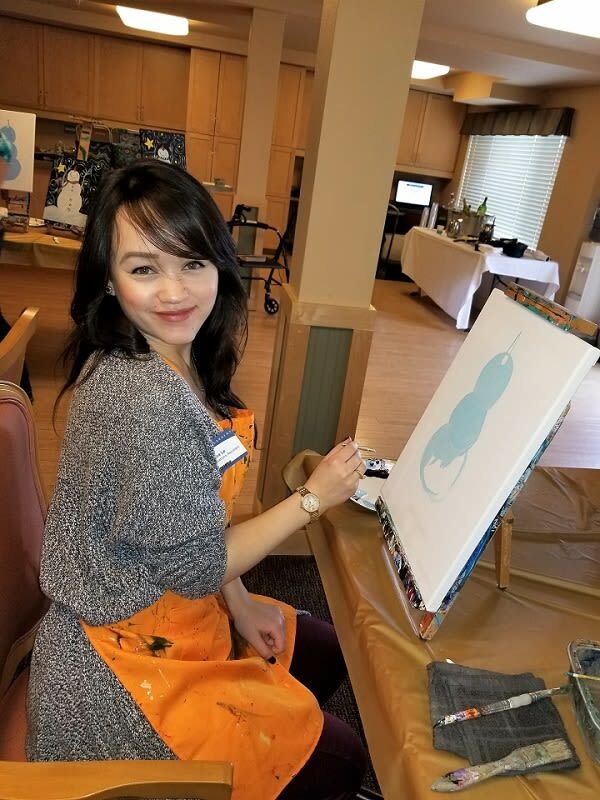 “Residents didn’t think they would be able to do it, but it turns out, many of them are talented artists!” said Monica Le, Merrill Gardens at Renton Centre Community Relations Assistant. 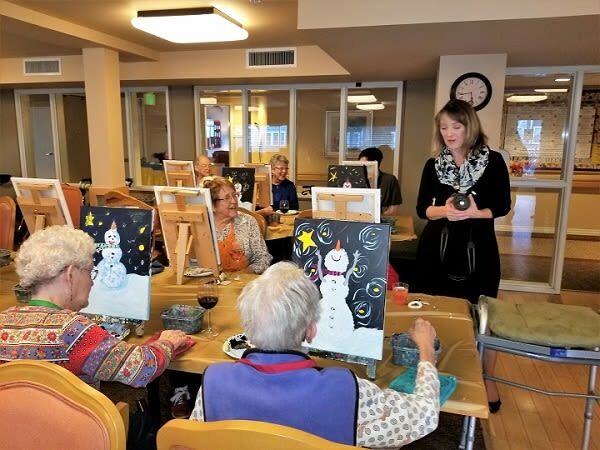 Everyone loved having an art expert’s direction. 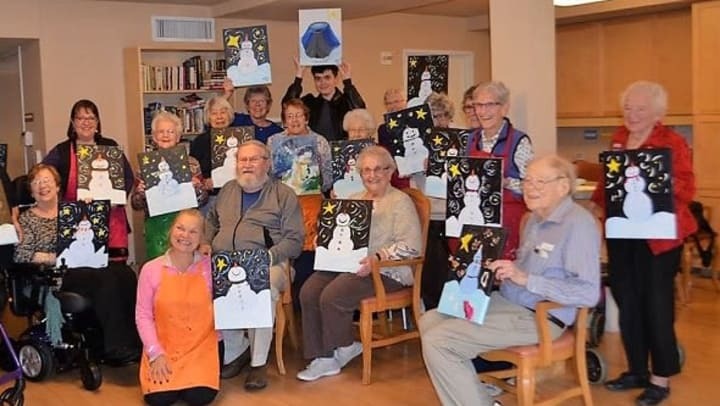 We think the finished products are pretty impressive!